I adore this look! Love the pom pom detail on your top! Thank you for the linkup and have the best weekend! Perfect outfit for this weekend! Love this casual cute look on you. Enjoy! 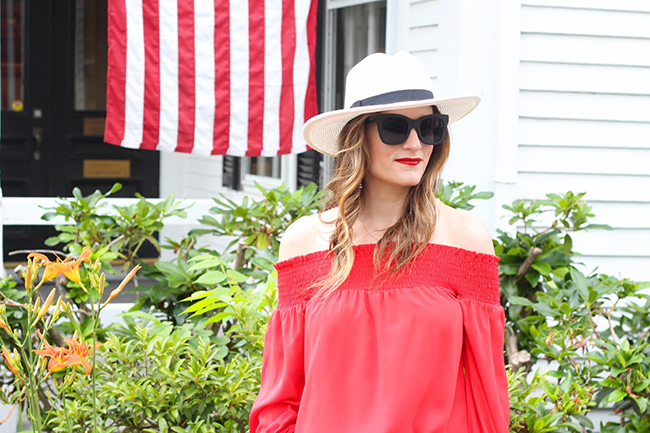 Perfect 4th of July look!! Obsessed with that top and that hat! Such a great look for the 4th! Enjoy your weekend! 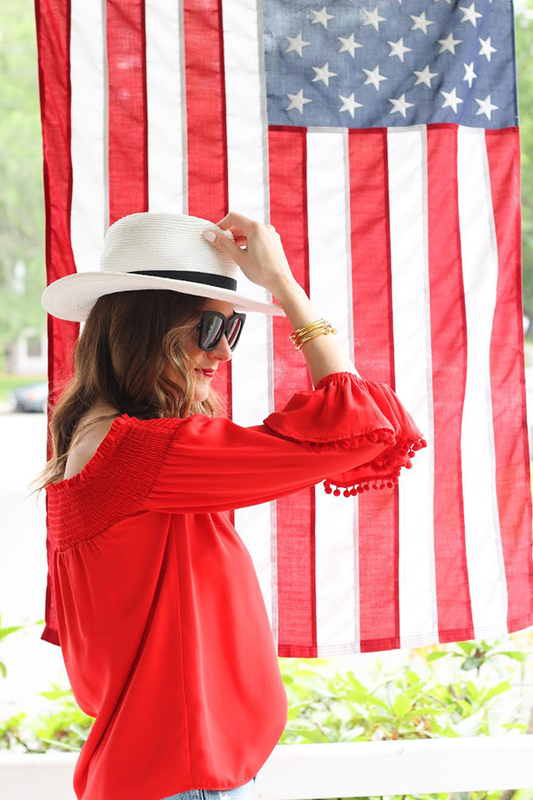 Loving this fun patriotic outfit! These sandals are just so cute! Those pom poms on your sleeves are so adorable! And, they're on your sandals. Cute, cute! Love the hat, too! That top is gorgeous! Perfect for the 4th! This look is perfectly patriotic -- I love it! Hope you enjoy the long weekend! I love that bright red top! 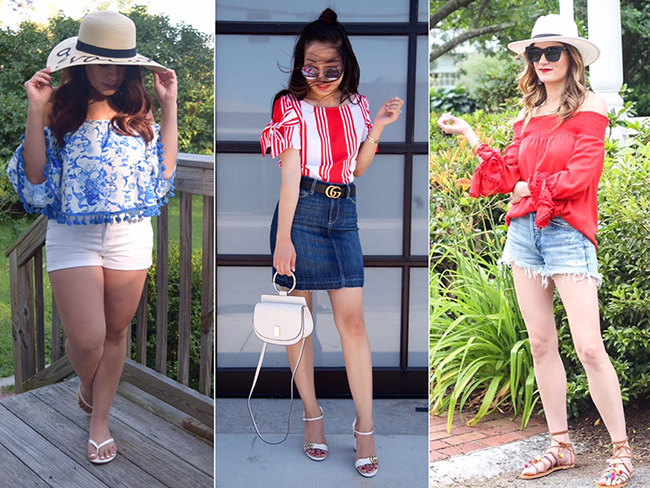 But those pom pom sandals - to die for! I'm officially obsessed with this top and I want it! It totally makes this look and although you styled it casual I could totally see it dressed up. I would totally wear this look for the 4th! Oh my Rachael, this is the most adorable outfit and perfect for the holiday! Have a fabulous weekend and enjoy your favorite holiday! This is such a great outfit! I love red white and blue and wear it a lot during the summer. The pom details are so cute on the sleeves! Thanks for the linkup and enjoy the weekend! Happy 4th! Love the pom poms in that top! I am all about these poms! 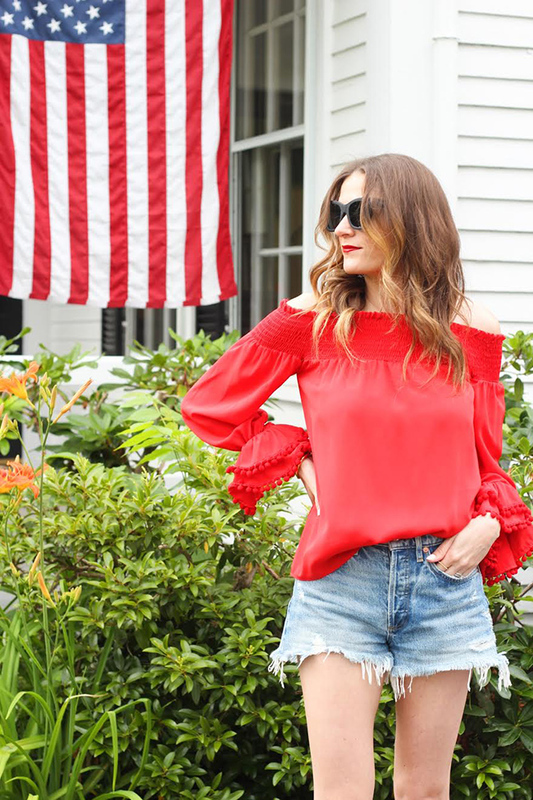 Your top is seriously too fun for words - and perfect for the 4th! I am also crazy about your sandals. I need a pair like that! 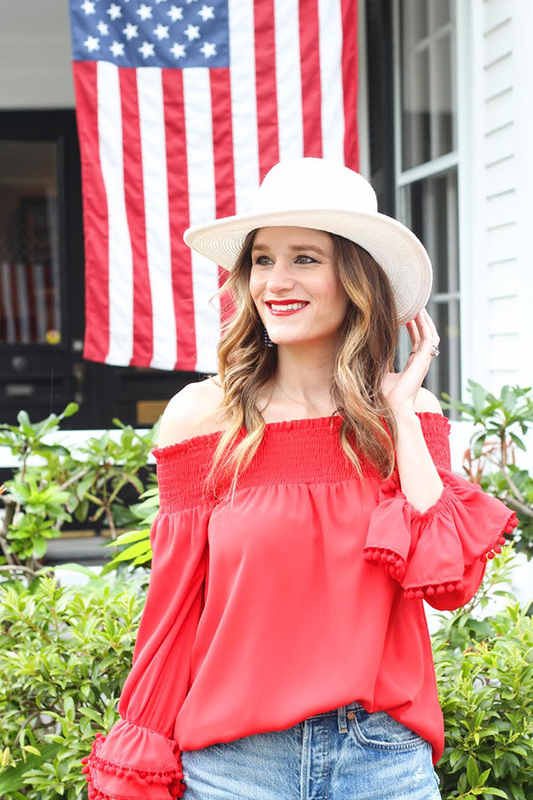 The top is so cute and looks perfect to celebrate the holidays! so in love with the pom poms! hope you're having a great 4th! Cute OTD red dress for the 4th of July celebrations! Love this top!! So cute! Such a perfect outfit to celebrate in! 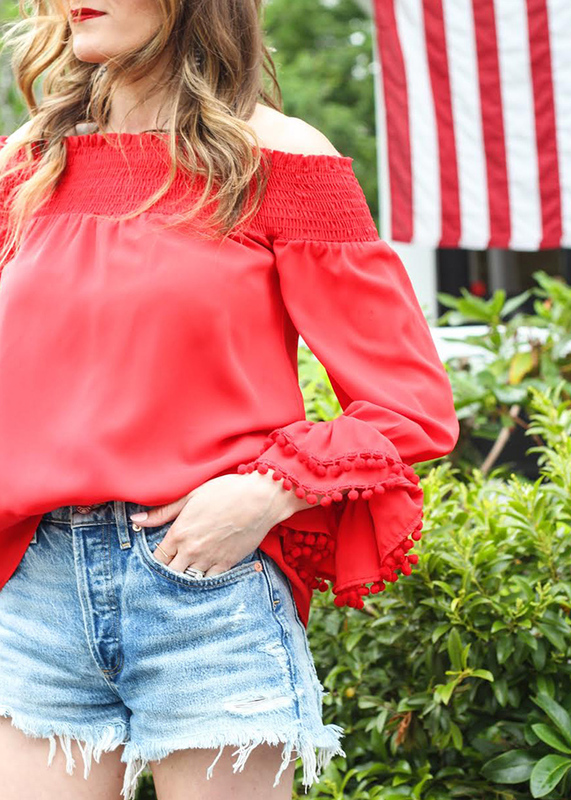 I love your off the shoulder top the sleeve details are amazing! I hope y'all have a blast celebrating the twins birthday and Happy 4th! Love the little poms on this top. Happy 4th! You are killing it in this look! Legs for days in these cute shorts. Really lovely outfit! Love the top.